Drummer Randy Reeder, bassist Alan Roberts, and lead guitarist Snuffy Walden started their musical partnership as members of the Texas-based blues-rock band Aphrodite. Formed in 1968, the trio spent five years touring extensively throughout the mid-west without much success. Their big break came in 1973 when Greg Lake (or Lake's manager Neville Chesters) spotted them playing in a Denver, Colorado club. Lake (or his manager) offered the band a recording deal with ELP's newly formed Manticore label. The deal included the provision the band immediately fly to the UK. Roberts and Walden readily signed on leaving Reeder behind - he reappeared as a member of the band Bloodrock and Alexis. 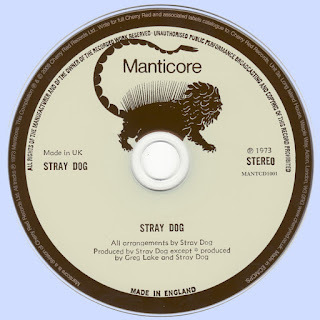 In the UK the quickly auditioned for a new drummer, hiring former Road member Leslie Sampson and opting to change their name to Stray Dog. Produced by benefactor Greg Lake and the band, 1973's "Stray Dog" was one of those albums that somehow managed to fall through the cracks. Critics largely panned it as mindless heavy metal, while fans simply ignored it. The band hit the road opening for ELP throughout Europe and the US (certainly a weird musical pairing that probably didn't do much to help sales), but as you'd expect, the album did little commercially. With little promotional support from Manticore which was then distributed by Motown, the band did some local shows in support of the album. Needless to say the collection vanished without a trace. 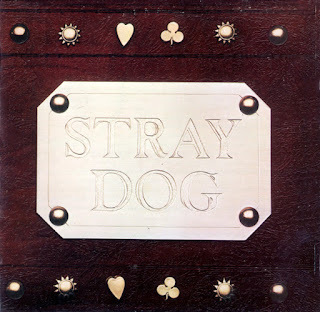 Within a couple of months Stray Dog was over. After the band called it quits Walden joined a reunited Free where he replaced an incapacitated Paul Kossoff. He also worked with Kossoff in Back Street Crawler. He was a member of the Eric Burden Band, recorded some solo material and then went on to enjoy considerable success working in film and television - he's scored music for the likes of "The Wonder Years", "thirtysomething" and "The West Wing". Roberts was briefly a member of Avalon.